New Jersey thrash metal veterans OVERKILL will release their new album, “White Devil Armory”, in July in North America via eOne Music and in Europe through Nuclear Blast Records. The effort was tracked at Gear Recording and will be mixed by Greg Reely, who also worked on 2012’s “The Electric Age”. MORBID VISION "Visions of the Morbid Rites". Beast Within - Adversity/Servitude 7"
Although most prominently focusing on an icy atmosphere, there is a fair amount of diversity within the Québécois black metal scene. Although featuring members of familiar bands within the scene such as Akitsa, Thesyre and Utlagr, this is the first time I’ve heard a band from the province focus on a proto-black sound. Even if Beast Within mostly gleans their sound from Celtic Frost, their riffs and songwriting abilities really rubs me in the right way. Although a mere two songs, the Adversity/Servitude 7” makes a big impact. NIGHTBRINGER "Emanation" CD out / LP coming soon and tour. NIGHTBRINGER's "Emanation", which gathers 4 otherwise unreleased tracks and 2 exclusive versions of tracks from "Death & the Black Work" (originally released as a split with SERPENTINAM), is now available once again. The original CD version by Starlight Temple Society is long since sold out and thus it was decided to give it another incarnation, with a new layout. The CD version is available from the band during their European tour (along with other merch). The LP version is expected to arrive during April. "Emanation" serves for those who would bear witness to the initial incarnation of NIGHTBRINGER and the metamorphosis that would follow! SVARTIDAUÐI - "The Synthesis of Whore and Beast" CD / LP. "Flesh Cathedral", "The Synthesis of Whore and Beast" presents two apocalyptic hymns of blinding illumination and iconoclastic orgasms, tantric mantras to end all flesh. SVARTIDAUÐI recently, in conspiracy with A Thousand Lost Civilizations, ONE TAIL, ONE HEAD and MGLA, broke bones and slit throats all over Europe at Untamed and Unchained. NEFANDUS "Reality Cleaver" CD / LP. NEFANDUS is back with a 3rd full-length album! For the first time since mid-90's existing as a full band, they march into the new territories of mid-paced and grim Black Metal. Featuring lyrical contributions of Grim Vindkall (DOMGÅRD, SNAKESKIN ANGELS), J.K. (OFERMOD, MORTUUS) and Vaerulv, as well as vocals of Thomas Sabbathi of GRIFTEGÅRD and YEAR OF THE GOAT. Occult Black Metal of the Highest caliber. Recorded at Endarker Studios and crowned with a layout by Iblis Art. To be released as both CD and LP via Daemon Worship in the spring of 2014. However, we feel that limiting our art is not right. All tracks we have written since our "Mass Ov Perversion" album have been completely free of any limitations or pre conceived ideas. These songs just came into existence and wrote themselves. These tracks needed lyrics that were far more personal to us and that showed more depth and thought. Our lyrics now deal with gnostic writings and other occult script_ures. 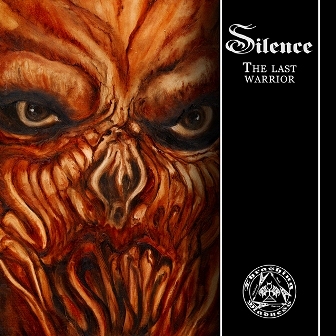 Never before published studio material of Szczecin (Poland) SILENCE - Last Warrior from 1989. This work was recorded in ARP studio. Next to the above mentioned material, on the CD there will be a couple of reh tracks. The music itself is an excellent Spped Thrash in the vein of early MERCILESS DEATH/EGZEKUTHOR. If you do like MERCILESS DEATH Eternal Condemnation or EGZEKUTHOR Hateful Subconsciousness, this material is for you!